At TEDxSydney 2017 Scott Griffiths, a body image and eating disorder researcher from the University of Melbourne, described how the increased focus on muscularity has led to an increase in the number of men with muscle dysmorphia – the so-called ‘male’ eating disorder. In this interview at TEDxYouth@Sydney 2017, Scott further examines the impact of muscle dysmorphia on young men with Curator Fraser Orford. 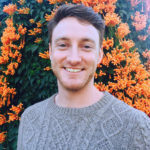 Scott’s research has attracted multiple awards and distinctions, including from the Australian Academy of Science, the Society for Mental Health Research, the North American and Australian and New Zealand Academies for Eating Disorders, and the University of Sydney.